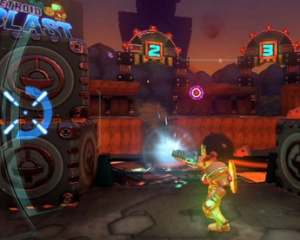 New screens have broken cover online which show a new game in the forthcoming Wii U title Nintendo Land. Metroid Blast is - as you might expect from the name - set in the universe made so famous by the heroic exploits of Samus Aran. 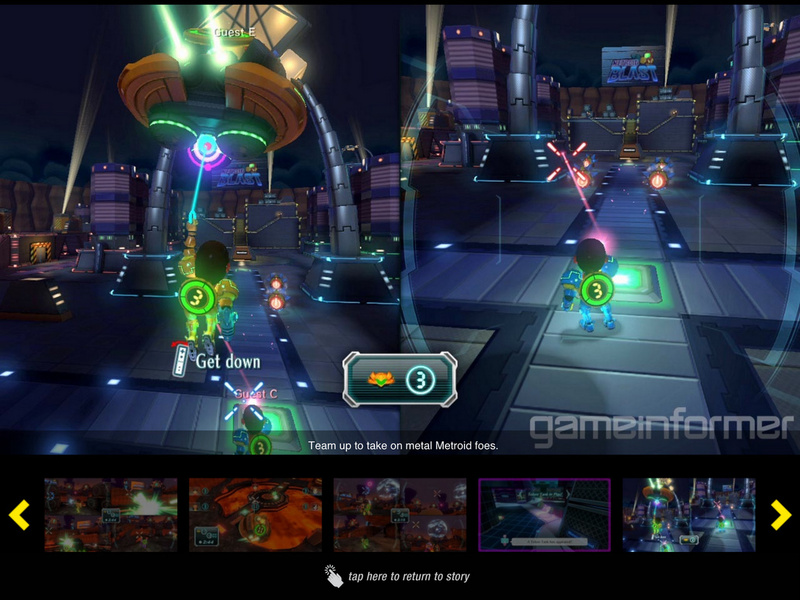 It appears to feature co-operative gameplay, with players taking out large-scale enemies. Nintendo Land is expected to launch alongside the Wii U console later this year. Did Adam give permission for this? Hmm, interesting. It looks like this could be fun but I'm still not entirely impressed by what I have seen of Nintendo Land. 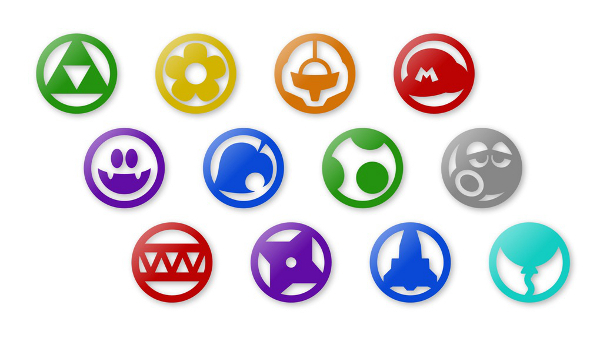 I would still prefer it if Nintendo makes this a pack-in game for the Wii U. A Metroid-themed level does seem pretty cool though. It looks a lot like the demo Battle Mii. But it doesn't found like it'll be. This better be bundled with the console. You need to be careful when using such words as "roster" and "join(s)" in the title. Otherwise it might confuse some people with some other certain upcoming game. But anyway, like many others I hope this is bundled. Looks fun though. I would have liked Nintendo Land more if it used actual characters from their respective game rather than Miis. This one does look nice though. It's missing a key element, though - the baby. This looks like Fun! Hopefully there is a Mother/Kid Icarus minigame! By the looks of it the gamepad user controls the spaceship as it says Guest E above it.I hope this has online multiplayer,surely? It looks like a kiddy version of Future Cop LAPD. Somewhat fitting really. Remember that this is intended to be an amusement park where you play, so Miis are necessary here, maybe more than in any other game. @MagicEmperor - "Did Adam give permission for this?" I'm playing through Other M right now, so this made me happy lol. Honestly, this looks less like Metroid and more like what would happen if the people behind Tron tried to make the fake city area from Bulletstorm. This is shockingly a compliment since it's supposed to look fake like that. You know, amusement park. That's...the point. i think this is battle mii but with noticible visual changes, as well as the title change as well. i was hoping this would be part of nintendo land, so yeah, i'm really happy with this. Looks disappointing. Would rather it have been FPS like the Prime Series. Also, i know i know, this isn't the point ESPECIALLY in Nintendo Land but, the graphics on this particular mini game look pretty Wii-esque, and don't really show off the Wii U. Even the Zelda mini game i think shows off the graphical capabilities a little better than this one. Maybe it's just the screen shots but the textures and lighting really rather bland and boring, where it could have been much more exciting and aesthetically pleasing, even while retaining that 'amusement park' feel & art style. And it doesn't look HD to me either...textures don't seem to take advantage of the resolution. 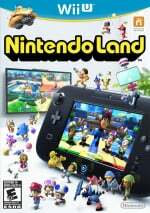 Hopefully Nintendo Land is a pack-in title because it does look fun & will most certainly entertain in leu of a standalone game. But i wouldn't buy it separately for full retail price ($50-$60). 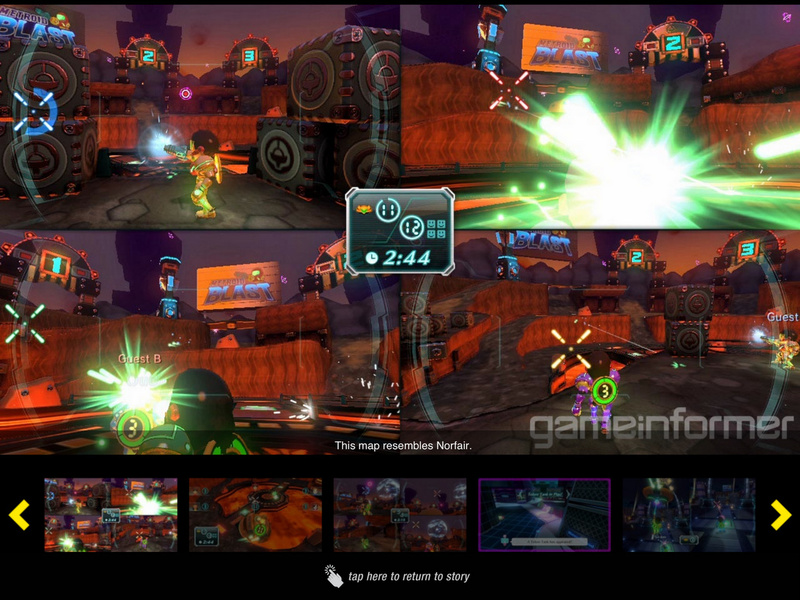 It's sure to impress Metroid fans, at least from a graphical perspective. Aside from the Mii heads it looks a lot like an HD Metroid Prime. On the Gunship, it says "Guest E". And in the second one, it says "Guest B". I don't agree that the graphics look bland and boring. Oh for crying out loud. Miis in Samus's gear. Now I seen it ALL! As long as this game don't play like crap, I have no problem with this NONE what so ever. Looks like Jet Force Gemini! Could be fun for multiplayer. I still want it bundled with the system though. Looks promising. Very smart move to introduce Metroid to a bigger audience in this way. I hope there is the ship vs mii's mode and the destroy large enemys mode. As a big metroid fan I'm really not impressed with this or any of the other suposed atractions on Nintendo land. But as long as others are having fun with this minigames or demos or whatever, it's fine by me. Cause minigame collections aren't games anymore? this are larger minigames they have several levels etc you can unlock. @BestBuck123 this is not a demo but a mini game as part of nintendo land. This looks really fun to me, 1st day buy. @Erica_Hartmann Well, they said it was for Wii U the same Wii Sports was for Wii, so I'd be surprised if they don't bundle it. @drumsandperc92 This probably doesn't look HD since the image is taken from another site's screenshot... If you were looking at the game itself on your HDTV, the quality will be much more noticeable. I played the Battle Mii demo at E3 2011 and it was super-fun and made great use of the GamePad. My only worry is that you'll need a couple of other people to really get the most out of the game, and that isn't always going to be the case, so I hope they figure out a compelling single-player mode for this (and the other NLand games). I really think this game is going to surprise people when it finally hits. So much naysaying by so many people who've yet to play it for 2 seconds. Let's just wait and see. Balloon Trip game is in NINTENDO LAND. I have 4 Wiimotes but only 2 nunchucks b/c we almost never ever need more than 2 of those, looks like we may finally need to buy a couple more now that the Wii is dead. Go figure. Is this using Other M gameplay? Good to see they're giving the mechanics another chance, regardless of the quality of the game's story. I'm glad Metroid is getting its own mini-game! Still hoping Nintendo Land is bundled with the Wii U. They're obviously working on a lot of other projects. It's not like Nintendo consists of one developing team. The only game series that could be suffering would probably be Animal Crossing since the director of animal crossing is working on NintendoLand. If you look at the nintendo land photos of the theme park, you can see a mark of an attraction with waves. Those resembles the ones in the O in endless ocean's logo. So I bet we will get a diving attraction. @LittleIrves that's great that you got to try it. I too hope that they include a good single player mode as well. But when you mentioned that it's best with multiple people that aren't always around, it made me think, did Nintendo mention whether or not they are including online multiplayer? Miiverse is confirmed to be used in some fashion. Right now it's looking to be something like online leaderboards and small interactions rather than online multiplayer though.. Which is a shame. Some of these games could be loads of fun with online CoOp etc. This game looks to be so full of content I think it's worth to be a standalone title. Although I would appreciate a bundle! Wow Nintendo never seems to stop amazing me. Dang can't wait to check ALL those "mini" games! In the middle of the picture and a little right in the back there, you can see a mark of a wave. Might be wrong, but that is what I can see.